If you know someone who is mad about cars, then a choice of 50 fantastic driving experiences is a perfect gift idea. 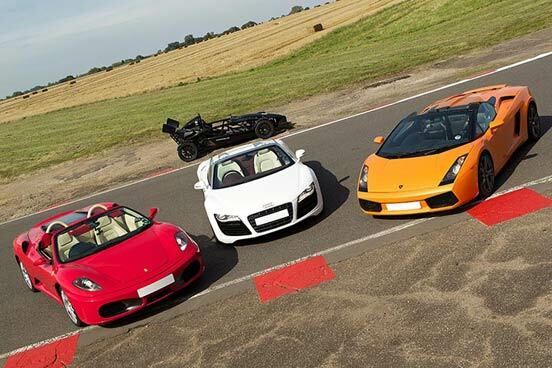 Whether they prefer the sleek lines of supercars, the rough and tumble of off-roading or a chance to learn some new driving techniques, we have all that and more in this ultimate driving experience box. 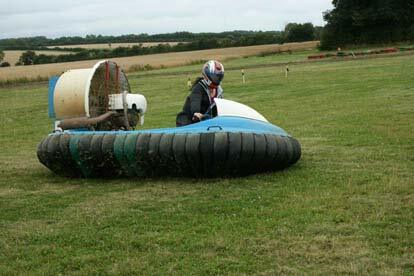 Even for those that have done every other conceivable motorsport, hovercraft piloting is somewhat of a unique experience! These amphibious crafts move on a cushion of air created by a powerful fan and are capable of moving over land or water and handle like no other machine! Do you have the balance, judgement and forward thinking to handle one like a pro? After a safety briefing and familiarising yourself with the hovercraft and its controls you will enjoy some practice runs, before flying around the course. Your experience will last approximately 1 hour with roughly 10 minutes at the controls. You are welcome to bring family and friends along to watch you. You will need to have general fitness and be able bodied to take part in this experience. This is a fantastic opportunity for any car fanatic to get behind the wheel and drive one of the most iconic classic supercars. The 1962 E Type Jaguar is often regarded as the world’s most aesthetically pleasing sports car, not only does it look sensational it sounds amazing too and it goes like the wind. With 265 BHP and 150mph it really is a truly fantastic car. Your experience will begin with a welcome introduction, including tea or coffee for the driver on arrival and a safety briefing on driving techniques. 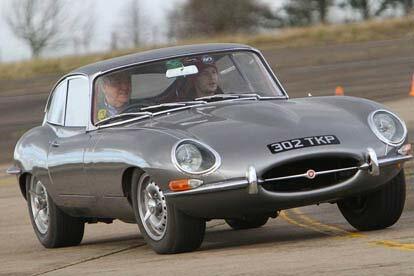 You will receive a shared circuit tour to familiarise yourself with the track and then it’s time to take to the tarmac for three adrenaline-fuelled laps behind the wheel of the amazing E Type Jaguar. Your session will finish with a commemorative certificate on completion to keep as a memento of your day. This experience is available on selected Friday and Saturday dates, throughout the year. You will drive 3 laps of the track. You are welcome to bring friends and family with you to watch you take to the track! The maximum height for this experience is 1.96m (6ft 5"), the minimum height is 1.52m (5ft). The maximum weight is 114kg (18st). Sit next to a professional driver while he drives the incredible Ariel Atom around the track at race speeds. 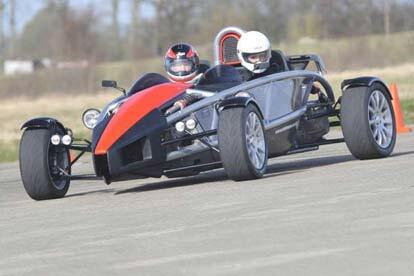 The Ariel Atom is probably one of the fastest cars you'll ever experience! It's capable of going from 0-60mph in just 2.7 seconds and on to 100mph in just 6.8 seconds! 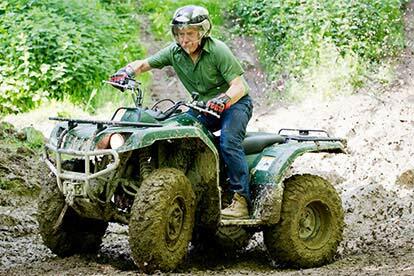 ''I have never ever driven anything that accelerates so fast'' Jeremy Clarkson. Once you have signed in you will receive a helmet and meet your driver. After being strapped into the Ariel Atom your driver will complete 2 to 3 laps at race speed around the track. Once you have completed your experience you will be presented with a certificate. You will enjoy 2 to 3 laps at race speed around the track. The minimum age is 11 years old. The maximum height for this experience is 1.96m (6ft 5'') and the maximum weight is 121kg (19st). After you have registered and received your welcome, you will then be given a briefing from your professional racing instructor. Then it's time to get behind the wheel for two to three laps of the track in your supercar. After you have taken to the track for your drive, it's then time to see how a professional drives with a high speed passenger ride. You will also take away a photograph of you driving your supercar and on completing your experience you will be presented with a certificate as a memento of your day. Please note if you wish to book for the Dunsfold location, there will be a £20 supplement fee. Your day will begin with a welcome, introduction and safety briefing. 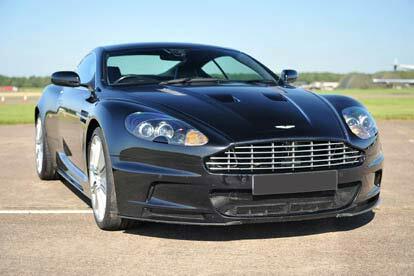 You will then take to the track in either the DB9 or V8 for 6 thrilling miles. To finish, you will be rewarded with a certificate as a memento of your day. You're welcome to bring along family and friends to watch, however children must be supervised at all times. The beautiful step sister of the stunning Lamborghini Gallardo, the Audi R8 might be half the price but with a waiting list that reads like a fantasy football team - this is the car that any self-respecting Premiership player or city boy wants to be seen in. Clarkson described the R8 as one of the truly great cars and the only hesitation he has in awarding it the coveted five stars is that, ideally, he would like to give it six. Judge this amazing car for yourself and see what all the fuss is about as you slip behind the wheel of a motoring legend in the making. After you have registered and received your welcome, you will then be given a briefing from your professional racing instructor. Then it's time to get behind the wheel for two to three laps of the track in your supercar. After you have taken to the track for your drive, it's then time to see how a professional drives with a high speed passenger ride. You will also get to take away a photograph of you driving your supercar and on completing your experience you will also be presented with a certificate as a memento of your day. The beautiful step sister of the stunning Lamborghini Gallardo, the Audi R8 with a 4.2 litre V8 engine, and a top speed of 187mph might be half the price but with a waiting list that reads like a fantasy football team. This is the car that any self-respecting Premiership player or city boy wants to be seen in. Clarkson described the R8 as one of the truly great cars and the only hesitation he has in awarding it the coveted five stars is that, ideally, he would like to give it six! Judge this amazing car for yourself and see what all the fuss is about as you slip behind the wheel of a motoring legend in the making. Your day will begin with a welcome, introduction and safety briefing. 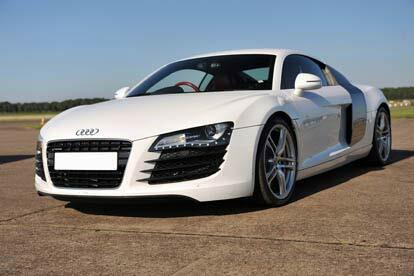 You will then take to the track in the stunning Audi R8 for 6 thrilling miles. To finish, you will be rewarded with a certificate as a memento of your day. Your day will begin with a welcome, introduction and safety briefing. You will then take to the track in the stunning Bentley GT for 6 thrilling miles. To finish, you will be rewarded with a certificate as a memento of your day. The Bentley Continental GT is a car that can accelerate from 0 to 60mph in 4.7 seconds and can continue to show impressive speeds close to 200mph. The 12 cylinder, twin turbo engine delivers 552bhp through all four wheels. The Bentley brand is synonymous with travelling in luxury and the Continental GT does not disappoint with a mix of luxury and power sure to have you on the edge of your seat. After you have registered and received your welcome, you will then be given a briefing from your professional racing instructor. Then it's time to get behind the wheel for two to three laps of the track in your supercar. After you have taken to the track for your drive, it's then time to see how a professional drives with a high speed passenger ride. You will also receive a photograph of you driving your supercar and a certificate as a memento of your day. With a teasing touch of typical BMW styling, the car sports a turbocharged engine featuring 2 electric motors creating 357bhp and allowing a blinding 0-60 time of just 3.6 seconds and a top speed of 250km/h. The LED laser lights and sleek aerodynamic shape will cut through any weather ensuring you have the ride of your life no matter what. Your day will begin with a welcome, introduction and safety briefing. You will then take to the track in the stunning BMW i8 for 6 thrilling miles. To finish, you will be rewarded with a certificate as a memento of your day. The most raced car in Britain, the amazing Caterham has been synonymous with motorsport for decades. You can spin the wheels in third thanks to the staggering power to weight ratio and take corners at breathtaking pace. We defy anyone not to love it. 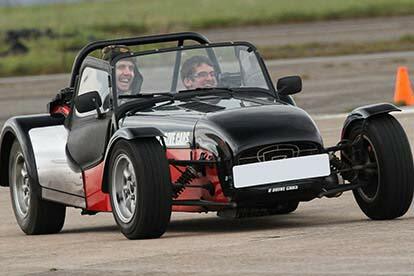 This is a chance to drive the extremely fun Caterham, a car that is sure to leave any driver grinning from ear to ear. You will witness its incredible handling and lightning acceleration first-hand. Sitting just inches off the ground and with super sharp handling, this car is an absolute motoring gem. Your day will begin with a welcome, introduction and safety briefing, you will then take to the track for 6 thrilling miles. To finish, you will be rewarded with a certificate as a memento of your day. The Chevrolet Camaro ZL1 will roar around the track with a 6.2 litre V8 engine under the bonnet. With help from track driving experts, you will have an experience to remember in the latest version of the all-time classic American muscle cars. After you have registered and received your welcome, you will then be given a briefing from your professional racing instructor. You will then have the chance to get behind the wheel of the stunning Camaro ZL1 for six unforgettable laps/miles of the track. So what are you waiting for? Put the pedal to the metal and get yourself to the track! This American classic is one of the most iconic cars in the world. Boasting a 600+ BHP, huge V8 engine, amazing noise and original race car handling, you will have the time of your life driving this classic! After you have registered and received your welcome, you will then be given a briefing from your professional racing instructor. 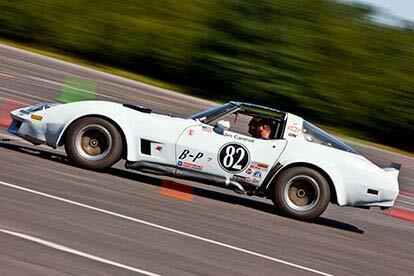 After which, you will get behind the wheel of the stunning Corvette for six laps/miles of the track. So what are you waiting for? Put the pedal to the metal and get yourself to the track! The Ferrari 458 Italia is one of the most technically advance Ferrari's ever made. A lot of this technology is pulled from the team that competes in Formula 1, the most prestigious and technically advanced motorsport in the world. Because of this, many motoring journalists consider this to be the best handling Ferrari ever made. With 570bhp on tap, it can accelerate to 60mph in 3.4 seconds and onto a top speed of 202mph. Grab this chance to sit in the passenger seat and be prepared to be thrilled! Your experience will begin with a welcome, introduction and safety briefing then it's time for the ride of your life. You'll be going at amazing speeds and getting a chance to see how a professional handles such a powerful machine. This is a great gift for anyone with a passion for fast cars and excitement. The minimum age is 12 years old, all under 18s need accompanying by an adult. The minimum height is 1.52m (5ft), the maximum height is 1.96m (6ft 5") and the maximum weight is 120.6kg (19st). Anyone seen to be under the influence of drugs or alcohol will not be permitted to the venue. This is your chance to get behind the wheel of one of the most famous sports cars in the world. As soon as you turn the key you will know that at that particular moment in your life you're experiencing something very special. As you settle into the driver's seat and look into the rear view mirror you can see the engine. If you blip the throttle you can hear the roar from the Italian V8 and see it vibrate under the power. This is a driving experience you won't easily forget! This is your chance to get behind the wheel of one of the most famous sports cars in the world. As soon as you turn the key you will know that at that particular moment in your life you're experiencing something very special. As you settle into the driver's seat and look into the rear view mirror you can see the engine. If you blip the throttle you can hear the roar from the Italian V8 and see it vibrate under the power. This is a driving experience you won't easily forget! You will drive either the Ferrari 430 or 360, depending on location. Your day will begin with a welcome, introduction and safety briefing. 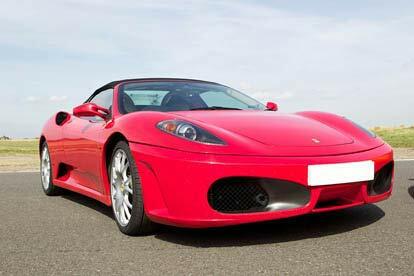 You will then take to the track in either the Ferrari 360 or 430 for 6 thrilling miles. To finish, you will be rewarded with a certificate as a memento of your day. This experience is available on selected Monday to Friday dates, from February to November depending on location. After you have registered and received your welcome, you will then be given a briefing from your professional racing instructor. After which, you will get behind the wheel of the stunning Ford GT40 for six laps of the track. After you have registered and received your welcome, you will then be given a briefing from your professional racing instructor. After which, you will get behind the wheel of the stunning Ford Mustang for 4-6 laps/miles of the track depending on your chosen venue. Your experience will begin with a welcome, introduction and safety briefing then it's time for the ride of your life. You'll be going at amazing speeds and seeing how a professional handles such a powerful machine. You will enjoy one unforgettable lap at all locations except Middlesbrough which offers two laps of the track. The exact car available varies by location but may include: Ferrari 360, Lamborghini Gallardo, Porsche 997 Turbo, Aston Martin V8 Vantage, Audi R8, Ariel Atom, Radical Racecar. Lotus Elise, Subaru Impreza. Please check on booking. This activity is available on selected dates, March to November. This activity will last approximately 10 minutes, with 3 to 4 minutes spent in the car. It will be just you and the driver. The minimum age is 12 years old, under 18's should be accompanied by a parent or guardian. The minimum height is 1.21m (4ft) and the maximum height is 1.98m (6ft 5”) except for the Atom and Radical Racecar, due to the helmet you will need to be a minimum height of 1.24m (4ft 10"). The maximum weight is 120kg (19st). It's difficult to explain the difference between supercars and hypercars. The best way to find out is to experience one first hand! This package lets you choose one of three cars. There is the Ferrari 458 Italia, designed for aerodynamic efficiency; the Aston Martin DBS, a car that James Bond himself chooses to drive; and the Lamborghini Aventador, the car that defines madness. Which will you choose? You will enjoy one lap in the car. 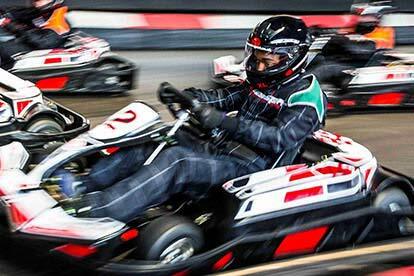 Enjoy an exhilarating day of high-speed fun with this fantastic Indoor Karting Session for Two experience. Unleash your inner speed demon in a 200-320cc go kart, capable of reaching speeds in excess of 40mph. Take to the track and navigate tricky corners, tight hair-pin bends and flat-out straights as you battle the other drivers head-to-head to take the chequered flag. Whether you are a complete karting novice or a seasoned pro, this experience is guaranteed to get your wheels spinning and your adrenaline pumping. The tracks available are chosen for their variety and they test the ability, courage and judgement of every type of driver. This is a perfect experience for those who have never been karting before as well as for those who just want to keep coming back for more! On arriving at the centre your instructor will begin by giving you a safety briefing, instructions on your kart controls and you'll be provided with the required protective clothing. Don't worry if you're a bit nervous - you can take the track at the speed that best suits you. Your experience will last approximately 30 minutes. This is quite a physical activity and may not be suitable if you are pregnant, have weak arms or back or a heart complaint. The minimum height is 1.4m (4ft 7in). The maximum height 1.93m (6ft 4") and the maximum weight is 119kg (18 ½st). K.I.T.T. the legendary Knight Rider car certainly needs no introduction. This revved up retro experience gives you the chance to play the role of Michael Knight as you step into the futuristic cockpit of Knight Industries Two Thousand; the enigmatic car with a voice car from that famous TV show starring David Hasselhoff. And of course, everyone knows that despite the Hoff's attempts to hog the limelight with his leather blousons, open necked shirts and shades, K.I.T.T. the car was the true star. After you have registered and received your welcome, you will then be given a briefing from your professional racing instructor. Then it's time to get behind the wheel for two to three laps of the track in your supercar. After you have taken to the track for your drive, it's then time to see how a professional drives with a high speed passenger ride. You will also get to take away a photograph of you driving your supercar and on completing your experience you will be presented with a certificate as a memento of your day. Your day will begin with a welcome, introduction and safety briefing, you will then take to the track in a car just like K.I.T.T. for 6 miles. To finish, you will be rewarded with a certificate as a memento of your day. This is one of the fastest Lamborghini's ever produced. In a word: shattering. The price? Over £200,000. The speed? 690bhp delivered via four wheel drive, a torque figure of 507lb ft, this combined means the car can launch to 62mph in just 2.9 seconds and go on to a massive 217mph. It has so much power in fact, that the traction control system has to step in during third and fourth gear, it still want's to spin all four wheels! The Italian passion and madness that comes with this legendary marque is completely different to any other supercar producer which is what makes this raging bull the very definition of supercars. Your experience will begin with a welcome, introduction and safety briefing, then it's time for the ride of your life. You'll be going at amazing speeds and getting a chance to see how a professional handles such a powerful machine. This is a great gift for anyone with a passion for fast cars and excitement. The minimum height is 1.52m (5ft), the maximum height is 1.98m (6ft 5'') and the maximum weight is 120kg (19st). Anyone seen to be under the influence of drugs or alcohol will not be permitted inside the venue. Lamborghini have been at the forefront of elite supercars for decades and are usually reserved for pop stars and Premiership footballers, but now you have the fantastic opportunity to drive one yourself. Feel the exquisite comfort of the soft leather seats as you slip behind the wheel and take control of this magnificent machine. With the press of a button the engine sings as sweetly as any opera diva until you let out the throttle and hear a ferocious roar - a subtle hint at the sheer power and speed that this car is capable of. The minimum height is 1.52m (5ft), the maximum height is 1.93m (6ft 4") and the maximum weight is 127kg (20st). Customers must sign a health declaration on the day. Slide behind the wheel of a stunning Lamborghini supercar and experience first-hand the raw power and beauty of one of the most exclusive Italian supercars on the market with this Lamborghini Thrill. Your day will begin with a welcome, introduction and safety briefing. You will then take to the track in the Lamborghini for 6 thrilling miles. To finish, you will be awarded with a certificate as a memento of your day. You must produce a full UK, European or International manual driving licence, with no serious offences on the day. The Mini Cooper S MK3 model was launched in 1970 and is the rarest of all Cooper S cars built, with just 1,580 of these pocket rockets made. The car may only have a 1275cc engine under the bonnet but it can still reach 98mph and has fantastic road handling! Your experience will begin with a welcome introduction, including tea or coffee for the driver on arrival and a safety briefing on driving techniques. You will receive a shared circuit tour to familiarise yourself with the track and then it’s time to take to the tarmac for 3 adrenaline-fuelled laps behind the wheel of the amazing Mini Cooper S.
The maximum height is 1.96m (6ft 5"), the minimum height is 1.52m (5ft) and the maximum weight is 114kg (18st). 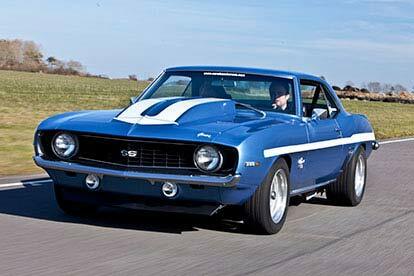 Probably the most iconic American muscle car of all time, the Ford Mustang is known and loved all over the world. The 1965 Mustang Race car has a big, powerful V8 engine, race car suspension and uprated brakes. Imported over from America, the Mustang GT350 competed in the 2014 Silverstone Classic and became the fastest Mustang in Europe! Now is your chance to experience driving one of these amazing race cars. After you have registered and received your welcome, you will then be given a briefing from your professional racing instructor. After which, you will get behind the wheel of the stunning Mustang GT350 for six laps/miles of the track. This experience is available on selected midweek dates subject to availability, throughout the year. Drivers must be fit and healthy and not suffer from any conditions that may impact their ability to drive the car safely. The maximum weight is 127kg (20st) and the minimum height is 1.35m (4ft 5"). Experience the awesome Nissan GTR R35 - just under 500bhp and the most comprehensive range of driver aids available, with more computing power than all the NASA Apollo rockets added together - surely one of the most amazing mass-produced cars ever! Your day will begin with a welcome, introduction and safety briefing, you will then take to the track in the amazing Nissan GTR for 6 thrilling miles. To finish, you will be rewarded with a certificate as a memento of your day. Are you ready to feel the power of one of the most iconic supercars in the world? The Nissan Skyline driving experience will put you behind the wheel of the R34 Nissan Skyline, the same car Brian O’Conner drove in The Fast and the Furious. With its twin turbo engine and super grip four wheel drive handling, it’s hard not to fall in love with this car. Whether you’re practicing your car chase skills or simply enjoying the purr of its engine, this is one incredible and enjoyable driving experience. Your day at the track begins with a welcome registration and safety briefing, where you’ll be prepped by a professional racing instructor. Once you’ve been briefed, it’s time to put pedal to the metal and get behind the wheel. You’ll get to take this beaut’ for six laps around the track. We guarantee that this is a supercar drive day you won’t forget anytime soon. The driver will be required to sign a disclaimer accepting liability in the event of damage to the vehicle. The driver can purchase optional damage waiver cover to minimise financial exposure in the case of an accident. Full details available at booking. This experience is available on selected dates subject to availability, throughout the year depending on location. 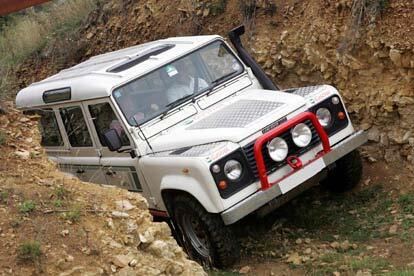 Head for the hills across rough terrain with this exhilarating Off Road Driving Taster experience. Your session begins with an introductory briefing on off roading techniques, together with an explanation of four wheel drive systems. The instructor will carry out a demonstration drive, and then it's time for you to take turns at the wheel. The time spent behind the wheel by each participant varies between each location, and when you are in a group and not driving you will stay in the vehicle as a passenger. Your experience will last approximately 1 to 2 hours, depending on the venue. Unfortunately, this experience is not suitbale for spectators. Your day will begin with a welcome, introduction and safety briefing, you will then take to the track in the Porsche 911 for 6 thrilling miles. To finish, you will be rewarded with a certificate as a memento of your day. The maximum weight 114 kg (18st). You'll need to have reasonable stamina as it is a physical experience. This is not suitable for those who are pregnant, suffer from epilepsy or any mental or physical disability. If in doubt, please consult your doctor. 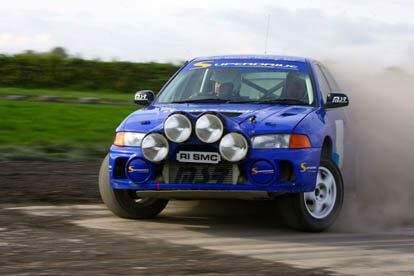 Enjoy the high octane thrill of rallying on this Rally Driving Thrill. You'll never experience anything as exciting as the rush of a rally car tearing around. You can forget all the rules you have learnt about driving on the road and really let rip! Whether you're a seasoned petrol head or just want to try something new, this rally taster will definitely be one you will never forget. Your day will begin with a welcome, introduction and safety briefing, you will then take to the track in either a Subaru, Mitsubishi Evo or a VW Polo (depending on location) for 6 thrilling miles. To finish, you will be rewarded with a certificate as a memento of your day. You must produce a full UK, European or International manual driving licence, held for at least one year with no serious offences on the day. Watching Formula 1 will never be the same again after you’ve experienced the thrill of driving a single-seat racing car. Once seated in the cockpit with the racing straps tightly fitted around you, the engine bursts into life and you’ll feel the pre-race adrenaline nerves like a real Grand Prix is about to start. With a light-weight carbon-fibre chassis, and capable of reaching speeds of 0-60 in 2.7 seconds and 0 - 100 in just 4.85 seconds, this car is sure to take your breath away. You’ll be encouraged to go full-throttle and feel the aerodynamic downward-force of this 192bhp machine as you soar around and put your driving skills to the test. Your day will begin with a welcome, introduction and safety briefing, you will then take to the track in the Formula Ford for 6 thrilling miles. To finish, you will be rewarded with a certificate as a memento of your day. Don’t be a Lane Lover or a Harvey Wallbumper when you drive the Smokey and the Bandit Trans Am! This 1977 trucker movie starring Burt Reynolds was action-packed, full of naughty words and littered with CB radio slang. This unique experience gives you the chance to bring those ultimate road movie dreams to life as you drive a lookalike of Bandit’s Trans AM. The minimum height is 1.52m (5ft), the maximum height is 1.93m (6ft 4") and the maximum weight for this experience is 127kg (20st). Customers must sign a health declaration on the day. Your day will begin with a welcome, introduction and safety briefing, you will then take to the track in the Bandit Trans Am for 6 thrilling miles. To finish, you will be rewarded with a certificate as a memento of your day. Drive the A Team van and join those lovable renegade soldiers of fortune! If no one else can help and if you can find them, maybe you can hire the A Team - well, their van at least! Your mission on this experience is to keep that racing line as you drive the A Team’s van around a race track. Sgt Bosco ‘BA’ Baracus, played by Mr T, was a master mechanic, who could turn his hand to pretty much any vehicle and turn it into a fully-armoured fighting machine seemingly within minutes. His own wheels of choice were a modified GMC Vandura, complete with white leather bucket seats, bull bars and the obligatory ‘go faster’ red stripe. Your day will begin with a welcome, introduction and safety briefing. You will then take to the track in the GMC Vandura just like the A Teams for 6 miles. To finish, you will be rewarded with a certificate as a memento of your day.